Your guide to maintaining your well for high quality, consistent results. Do you have a well in your garden? When was the last time your well had a maintenance check-up? 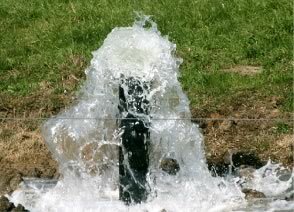 Many well owners do not worry about maintaining their well until there is a problem with it. Rather than waiting for this unfortunate situation, at Hydro Solutions, we advise you to carry out regular maintenance to ensure continued safety of your water, prevent the presence of any contaminants and prolong your well’s years of service. Contract maintenance service once a year from qualified professionals – At Hydro Solutions, we work with licensed and certified contractors from the National Ground Water Association. It is always better to seek help from professionals who are experts in well water systems because they use specialized equipment and techniques to keep your well operational and your water supply safe. Test the quality of your water – once your well has been checked, you can also ask contractors to carry out bacterial tests. Aside from the annual maintenance, if you notice a strange smell or different taste to your drinking water, contact one of our contractors as soon as possible to assist you. Your health is a priority to us. Need a well maintenance service in Florida? Don’t wait to book your appointment and contact us today.